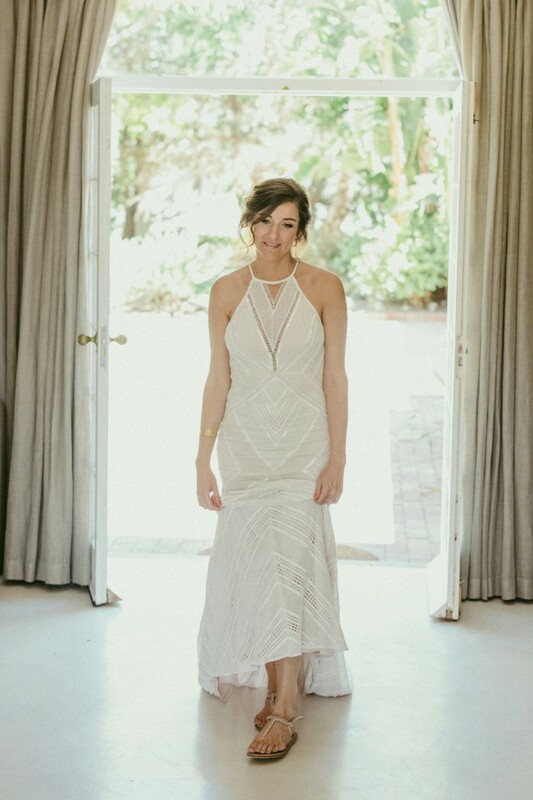 Unique style, boho wedding dress. Crocheted fabric framed with mat satin beading. Lining made from soft lycra-type fabric. Light and flexible fabric - very comfortable and perfect for dancing. The train can be clipped up so that it is not in the way (see photo 6). The fabric has a slight stretch making it figure hugging but its still thick enough to hold your shape.